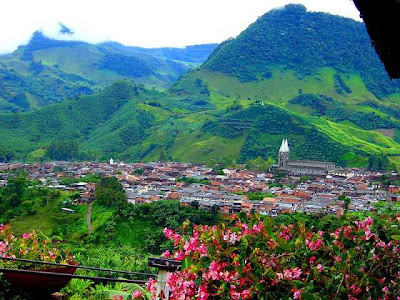 When Spanish conquerors reached Colombia in 1499, they discovered a civilization that was rich in gold. They spread tales of a mysterious lost city called El Dorado, filled with wealth, but it has never been found. Since 1819, when Colombia became an independent country, it has suffered decades of violent political battles and, more recently, bloody rivalry between drug cartels. Today Colombia is the world’s largest producer of cocaine. Large rivers, such as the Orinoco and Amazon, form an important means of transportation for goods across the country. 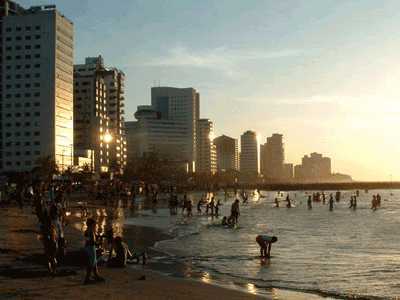 The bustling port of Cartagena was founded by the Spanish in the 1500s. Great Spanish galleons bound for home set off from here piled high with riches looted from the native peoples. The old city walls, enclosing beautiful mansions and churches, are still there today, along with the many fortifications built by the Spanish to ward off pirates and attacks from other countries. All Colombians know how to dance the cumbia, even young children. 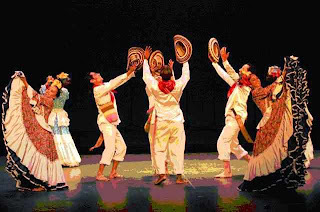 The dance is a blend of traditions from the black slaves who were brought to Colombia from Africa in the 1800s, together with Spanish and native Indian influences. The men wear white, which was the color of slaves’ clothes. 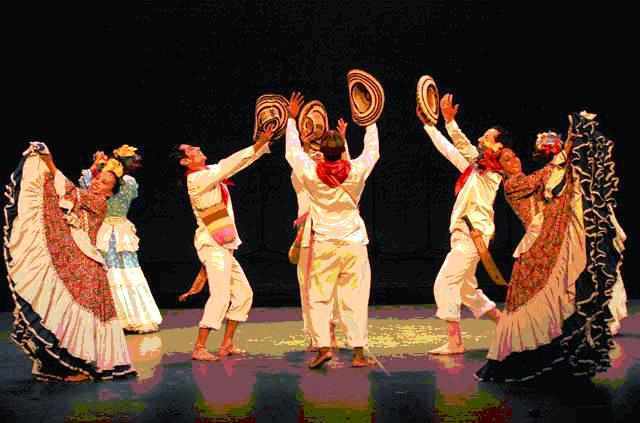 Women’s clothes are more Spanish in origin. 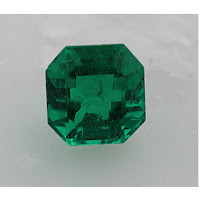 Many people consider Colombian emeralds to be the finest in the world. The earliest civilizations to live in this region made beautiful objects from gold and emeralds. 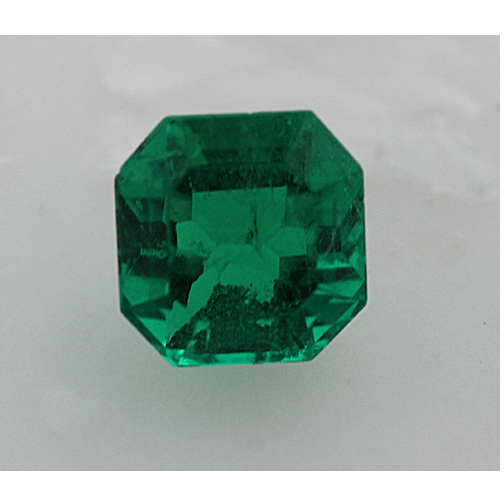 Today, Colombia produces more than half of the world’s emeralds. 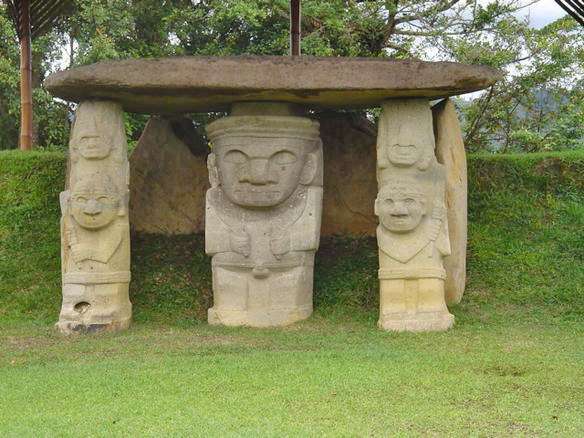 This small village near the southern mountains is famous for its ancient stone figures. The statues are at least 800 years old, but very little is known about the people who carved them. 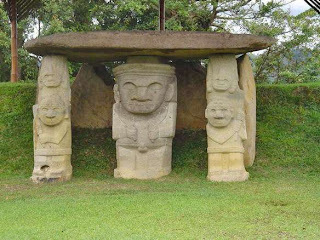 Some experts believe that the site was a ceremonial center where the Agustinians buried their dead, placing statues near the tombs.